Let’s break down your specific problem to see if we can find some answers as to the “real” reason your dog is urinating on the floor after five hours, but not earlier. Before we do that, however, please keep in mind that when dogs do things that we don’t like, they are just being dogs. Dogs do what they do only if it benefits them, keeps them safe, and/or provides them with the things that add to their comfort and well-being. In other words, dogs are good accounts and they look at their world in a cost benefit analysis sort of way, doing things that benefit them with the least amount of cost. Keep notes Sometimes when people come to me with problems such as yours, I ask them to record the exact timelines to see if it really is a time issue. Many are surprised to find out that it isn’t when they write these things down. So, each time you leave the house, record the time, and then again when you get back home. Also note whether or not your dog urinates in front of you during each trip from the house. You might just find that it is not really a timing issue, but that you were actually gone longer or shorter than you thought. Although that doesn’t solve the problem, it should offer you a different perspective on whether your dog “is mad,” at you. 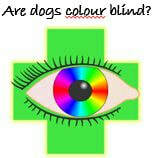 Check for medical problems Next, have your dog checked for medical issues. Many dogs that have these sorts of problems have medical issues, such as kidney or bladder stones or crystals, a bladder or kidney infection, or other problems that are best determined by your veterinarian. It’s very important to eliminate any medical problem before working on a behavior problem or you will find yourself frustrated and might not make much progress if there are underlying medical problems that are causing the unwanted behavior. Considerations Assuming that everything is okay medically, the next considerations are possible reasons for the behavior of urinating in front of you after you have been gone for some time. 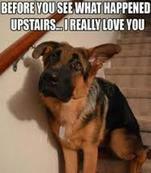 Your dog is not thoroughly housetrained. Solution: Go back to a good housetraining plan. Visit my website for an article on housetraining. Your dog is very excited to see you when you come home and is submissively urinating, and not actually urinating because he has to “go.” Solution: Make your entry into the home non-eventful by not talking to your dog, or giving him any attention. Just walk out to his potty area and he should follow. If he goes in the correct area, praise and offer a little food treat and that will help him make his way to that area whenever you arrive home. Your dog has minimal bladder muscle and can’t hold it very long. Solution: He needs to build muscle via things like crate or confinement training to help him learn to “hold” it longer. Visit my website for an article on housetraining. Your dog has some separation anxiety and/or drinks excess water while you are gone, and thus needs to relieve himself. When you come home, he is relieved that you are back, and then relives himself. Solution: Make his environment more comforting with white noise, things to chew on, an item of your clothing with your scent, etc. Guilty looking Another thing to consider is if your dog has ever been punished or scolded for urinating when you have come home in the past. Dogs are masters at reading our body language, and your dog might have learned to read yours when you walk in, and expect that he has urinated after the 5 hour timeline. If you have scolded or punished your dog for urinating when you have come home in the past, he may not have a clue as to what he did wrong, but might have picked up on your body language and now watches for these signals in relationship to his perceived safety. standing how posture relates to and directly influences behaviour in animals can give you valuable information about how and why your dog reacts the way he does in certain situations. This can be a helpful tool when selecting a dog from the shelter when details about the dog’s background may be sketchy or completely unknown. Is it possible that there could be “one thing” which is the secret to having a well behaved and likeable dog? If so, what is this “one thing”?